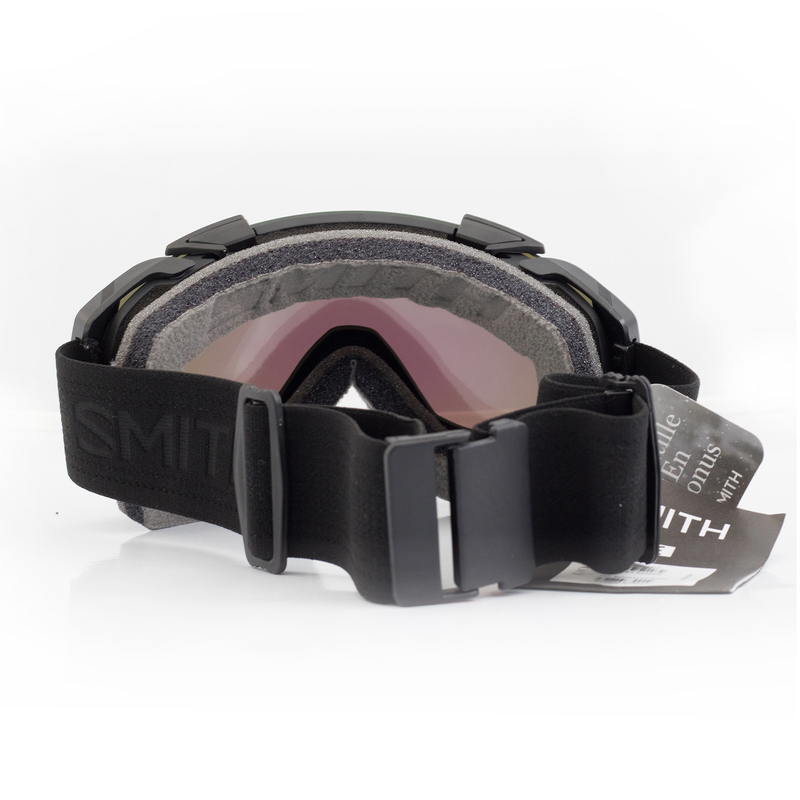 Having had a slight make over the I/O snow goggles from Smith was one of the first goggles ever to feature interchangeable lenses. Smith have come a long way since then and swapping lenses has never been easier. The Smith I/O has always been popular with our staff that like a reasonably large goggle with simple quick lens change and love the interface between smith goggles and helmets. 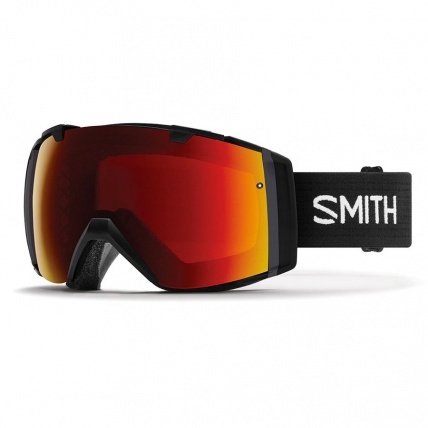 The Smith I/O Black with ChromaPop Red Sun Lens is a timless classic design with two state of the art ChromaPop Lens's included so you are covered in all conditions. The I/O Black is the classic original design in the IO and is timeless simple goggle featuring a quick release system you can effortlessly keep up with the weather changes by swapping your lens to match the lighting conditions. Now featuring Smith's new Chromapop lenses for more precise detailing and colour depicting on the mountain in variable conditions. Chromapop also offers a more diverse range of clarity in variable conditions meaning crystal clear and vibrant vision all day long! The tech in these lenses does not stop there! These corbonic-x lenses are used to prevent scratches while TLT (tapered lens technology) retains refracted light as it passes through the lens to your eye reducing any distortion. We also have hydrophobic lens coating to keep any water from sticking to the lenses and Porex Filter Technology that equalises pressure inside the lens during changes in atmospheric pressure. By doing this it maintains the inside temperature of the goggle and keeps away any unwanted fog! The I/O snow goggle also features 5x anti fog inner with patented Vaporator lens technology ridding the goggle of warm moist air that is the main cause of misting found in your conventional snow goggle. With 3-layer Driwix face foam for extra comfort and pressure dispersal, the I/O has an ultra-wide silicone back strap and a Quickfit strap adjustment system for quick and easy fitting. ChromaPop Sun Red Mirror - VLT = 16% - Perfect for cloudless, blazing light conditions, the layered red mirror over a gray base eases the harsh glare of high elevation sun while helping your eyes see more information in terrain ahead of you. ChromaPop Storm - VLT = 50% - Tuned to bring the most out of an environment when the storm moves in and the lights go out. Optimize your contrast even on the worst days, so you can stay out longer. Through Smiths proprietary ChromaPop polarized lens technology, helps you see detail and color beyond normal capabilities. ChromaPop filters two specific wavelengths of light that cause color confusion. By doing this the lens delivers greater definition, more natural color, and unmatched clarity to allow you to see more detail.